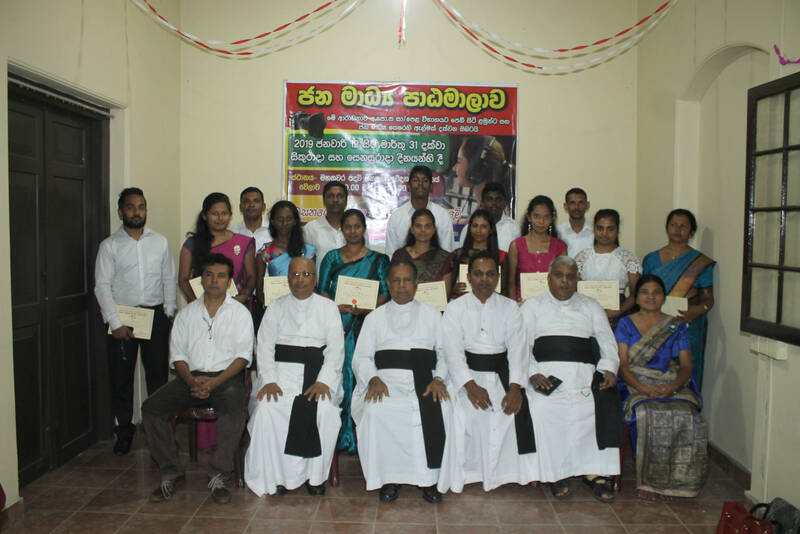 The Holy Childhood Society was inaugurated in 1989 in the Kandy Diocese. At the inception a seminar was held in the Fatima Retreat House, Lewella, to form animators of this Association. Thus the Holy Childhood Society was started with the assistance of these trained leaders in their respective parishes aiming at making the children little Missionaries of Jesus. From this small beginning The Holy Childhood Society has grown to a mighty tree on the basis of a deeper awareness, an increase in the number of members as well as in the number of activities. The faith formation of children to be missionaries in their milieu and the leadership formation of the animators are considered a priority at the Regional Directorâ€™s Meetings. Hence at these meetings the Regional Directors together with the Diocesan Director, while evaluating the existing activities of this Society and formulating plans for the future, seek ways and means of making the Holy Childhood Society deeply spiritual and missionary. The Holy Childhood cells are spread throughout our diocese and there is one in each and every parish. There are over 225 animators. The annual leadership seminars and follow up programmes for animators are a golden opportunity for them to be formed spiritually. The inputs are on spiritual and psychological formation of children and development of leadership qualities and on evangelization. Eventually they are prepared for the reception for the leadership badges. Moreover, rallies at diocesan and regional levels are held and retreats for different age groups are conducted to realize this objective. 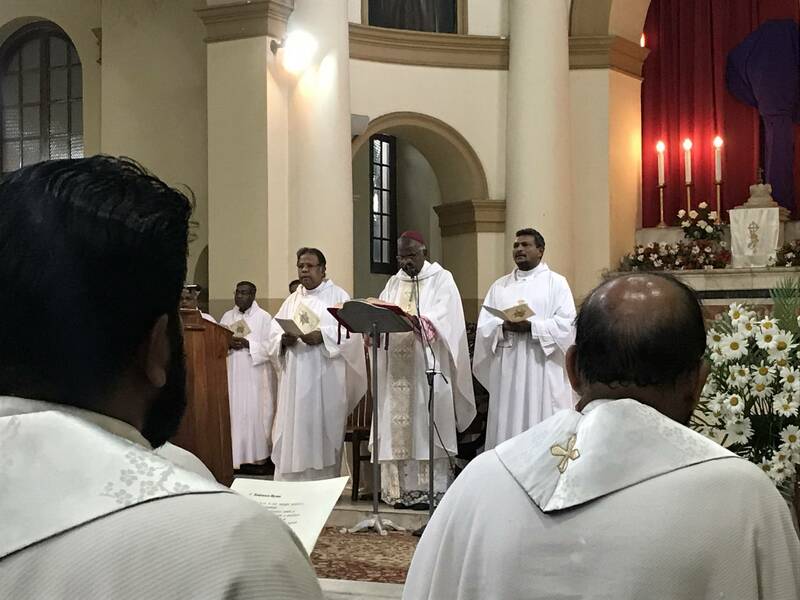 Among the various activities are the following: pilgrimages and picnics, Christmas and Lenten programmes, visiting Holy Childhood cells in other parishes, Bible Do-You know contests, shramadana and helping the poor, visiting the sick and homes for the aged. Prayer takes pried of place and special Masses for children, Holy Hour and penitential services and prayers offered for the universal mission. The main objective is spreading the radiance of Christ throughout this darkening world. Many children contribute articles for the publication in the â€˜Daham Kakuluâ€™ in Sinhala and â€˜Marai Arumbuâ€™ in Tamil published by the national office. They also helped in the promotion of the Diocesan Monthly publication â€˜Arulootruâ€™ by way of sending articles and helping in the distribution of the papers. They also contribute generously throughout the year when collections are made for the Holy Childhood day, Indigenous Clergy day, World mission Sunday and Popeâ€™s Day, thus supporting the Universal church by sacrifices and prayers. Thus they grow as young missionaries determined to make Jesus known to the ends of the earth.